With roughly one in nine women across the country experiencing postpartum depression, it’s important for both consumers and physicians to take a deeper look at the condition. Now, researchers from Michigan Medicine at the University of Michigan found that when babies are fussier, mothers are more likely to experience depressive symptoms. “Mothers of fussy infants born late preterm and full term are more likely to experience more severe levels of maternal depression, than mothers of fussy infants who were born more preterm,” said Dr. Prachi Shah. 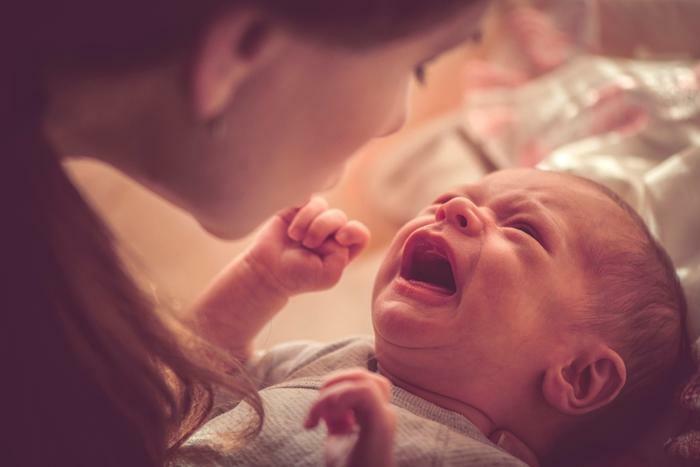 “These findings reinforce that all mothers caring for babies with more difficult temperaments may need extra help managing the emotional toll. “Early screening for infant fussiness may help identify mothers with depressive symptoms in need of support, but may be especially important for mothers of infants born mildly preterm, in which the symptoms of depression are more severe,” she adds. To see how fussy infants affect mothers’ likelihood of developing symptoms of depression, the researchers evaluated over 8,200 newborns and their parents. The parents in the study completed questionnaires when their babies hit nine months old to report on their fussiness, while mothers’ depression was also checked at the nine month mark using the Center for Epidemiological Studies Depression Questionnaire. The researchers also took into account how long the mothers carried their babies, categorizing the babies into three categories: very preterm (24-31 weeks), moderate/late term (32-36 weeks), and full term (37-41 weeks). The study revealed that mothers who gave birth to fussier babies in all three categories were two times as likely to experience moderate to severe depressive symptoms when compared with women who gave birth at the same time and had less fussy babies. The researchers suggest that healthcare providers should keep these findings in mind when they encounter new moms struggling with their newborns, as they may be able to intervene before things escalate too far. Countless studies have explored triggers of postpartum depression, and recently, researchers have discovered several things for new mothers to consider to hopefully help prevent depression symptoms. Studies have found several triggers of postpartum depression, including fewer hours of daylight, consistent pain during and after childbirth, and having a boy. However, on a positive note, researchers have found that following a fruit-based supplement regimen that’s high in antioxidants can work to ward off postpartum depression.